The Camden County Prosecutor’s Office and Berlin Township Police Department have released a composite sketch of a man believed to have been involved in a bank robbery on Thursday, July 6, 2017. The individual entered the Fulton Bank located at 201 Route 73 in West Berlin Township around 4:15 p.m. 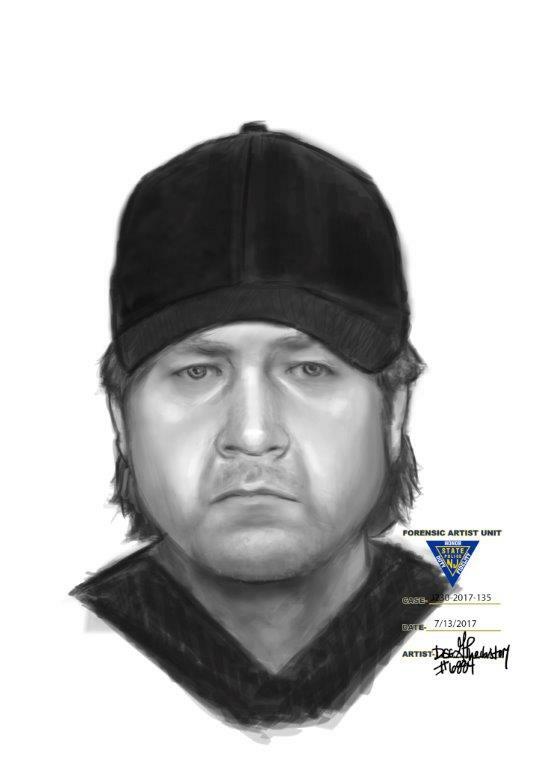 He is described as a white male, approximately 40 years of age with long hair that is possibly brown or dirty blonde in color and was seen on surveillance footage wearing a black baseball hat, black t-shirt, khaki pants, black sneakers and carrying a dark backpack. Information from witnesses led to the composite sketch of the suspect attached here.